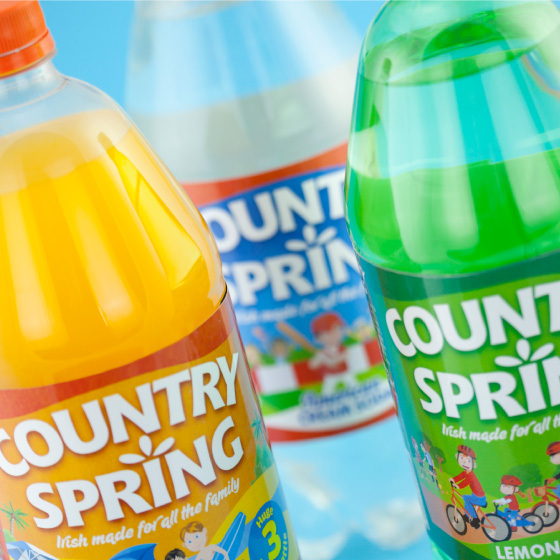 Country Spring is C&C Gleeson’s large format range of family soft drinks. 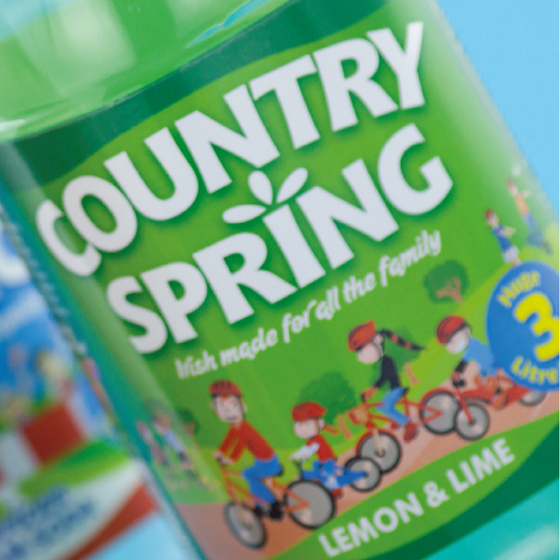 The bottles are a whopping three litres in size so the product is suitable for kids’ parties. 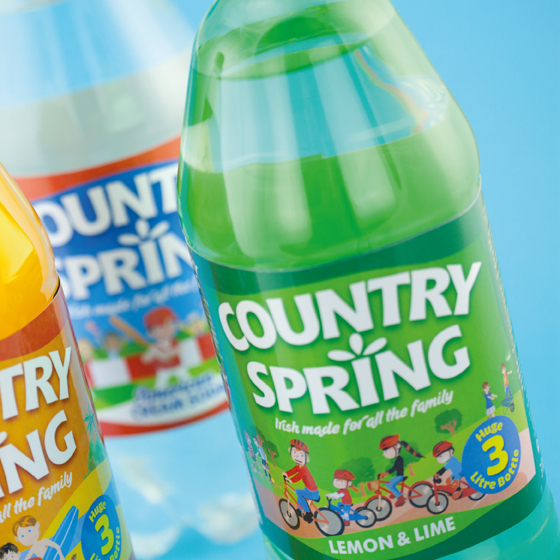 There are five flavours in the range and include such classics as Red Lemonade and American Cream Soda. The client was keen to keep this sense of tradition and heritage and was adamant that we keep to the established convention of using individual illustrations across the five variants. 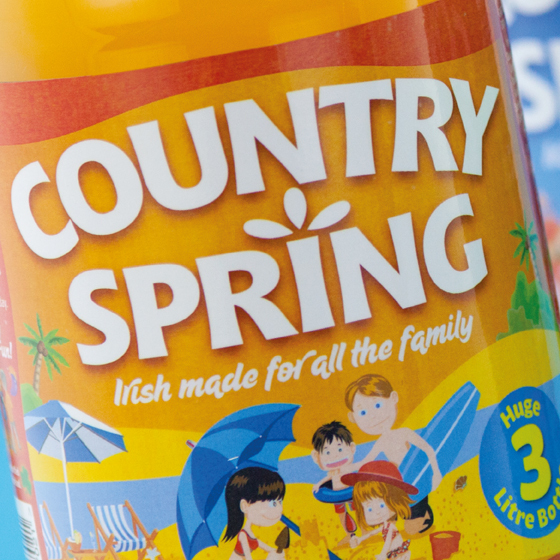 The budget unfortunately did not allow for bespoke illustration so the trick for us was to answer the brief at a fraction of the apparent cost. We found stock illustration in a single style which covered the five different themes we’d planned to cover and thanks to some careful recolouring and tweaking we were able to integrate these into our new design as seamlessly as possible. 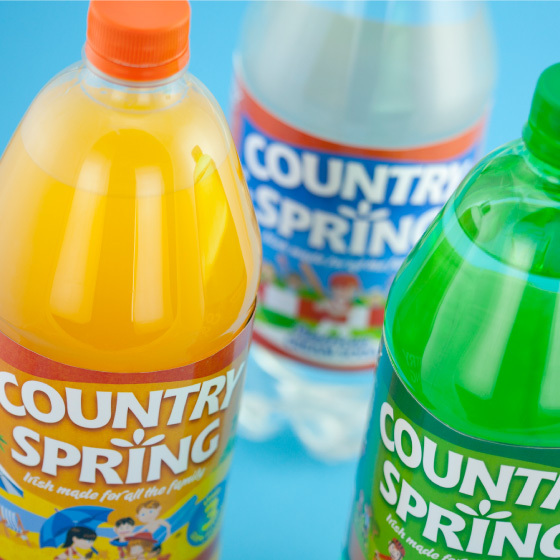 We designed a new logotype with improved standout and traditional feel to finish the design.